LONDON – Julian Assange, London’s – and perhaps the world’s – most famous political prisoner and refugee, is in grave danger as the threat of his arrest and subsequent extradition to the United States appears imminent. The U.S. has been preparing espionage and treason charges against Assange, the editor-in-chief of transparency organization WikiLeaks since 2010 and U.S. government officials have called Assange’s arrest a “priority” in recent years. Last Sunday, the UK newspaper The Times, ran a story claiming that Ecuador, the state that granted Assange political asylum in 2012 and then citizenship earlier this year, was in “high level” talks with the UK government in an effort to “evict” Assange from Ecuador’s London embassy, the embassy where Assange has lived for more than six years. Representing the UK in those talks was UK Foreign Minister Alan Duncan, who had called Assange “a miserable little worm” and demanded that he “face justice” earlier this year in March. The urgency and gravity of Assange’s situation are underscored by the upcoming visit of Ecuadorian President Lenin Moreno to the United Kingdom, set to begin this Saturday and through the 24th when Moreno – who is wheelchair-bound – will attend the Global Disability Summit in London. Though Ecuador has not announced if Moreno will meet with UK government officials, such meetings are likely and Assange will likely be a major topic of any discussions that do take place. Moreno stated in late May that Assange’s asylum was not under threat as long as he complied with the conditions of his stay and avoided voicing political opinions on Twitter. He stated he would only “take a decision” on whether or not to rescind Assange’s asylum if Assange did not comply with those conditions. However, following recent events, including the visit of U.S. Vice President Mike Pence to Ecuador last month, Assange’s compliance with those terms no longer seems to be enough to prevent his expulsion from the Ecuadorian embassy in London. Indeed, it seems that U.S. pressure on Ecuador seems to have been responsible for Moreno’s decision to reconsider his previous position on Assange’s asylum. According to some reports, the U.S. has threatened to block an International Monetary Fund loan to Ecuador over the Assange case. In addition, over the last week, the U.S. has imported a record amount of Ecuadorian oil, leading to speculation that a deal or pay-off may have been made to ensure Moreno’s cooperation with Washington’s long-standing efforts to have Assange arrested and extradited to the United States. Though Moreno campaigned as a progressive leftist in the style of Rafael Correa, his predecessor who had granted Assange asylum, he has shown himself to be eager to return Ecuador to the fold of U.S. and U.K. influence and neoliberal economic policies. 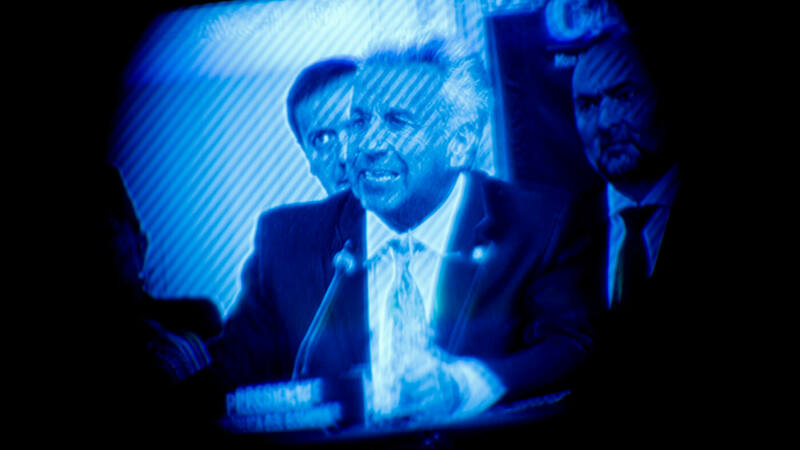 Since his election, Moreno has barred Correa from running for re-election and removed Correa loyalists from his cabinet. He has also begun paving the way for the U.S. military to regain its foothold in the country, which was abruptly ended in 2009 when Correa expelled the U.S. military from its base, and has also sought new financing from the U.S.-dominated International Monetary Fund. Yet, if Moreno does oversee Assange’s expulsion from the Ecuadorian embassy and rescinds his political asylum, it will be his greatest betrayal yet to his political party and to the Ecuadorian people. As MintPress previously noted, the actions of Moreno’s government in the Assange case will have far-reaching implications for the rights of all Ecuadorian citizens as any move to undermine or reject the rights that Assange holds as a citizen of Ecuador undeniably calls into question the country’s commitment to protecting the right to free speech and even the very dignity of all Ecuadorian citizens.